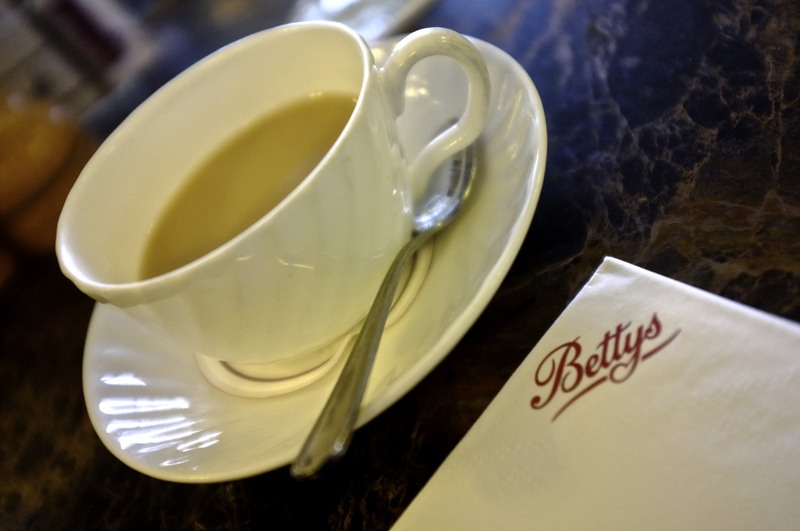 Service at Bettys is wonderful, charming, unhurried and nothing is too much trouble. I love it here, I could pass away a week eating my way through their scrumptious menu. The food is comfort food that has tradition firmly in mind. 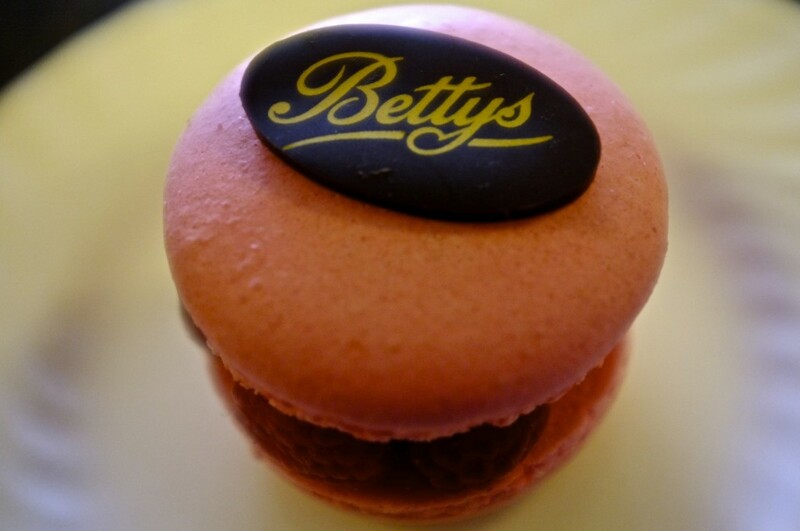 Bettys is close to its centenary, founded in 1919 by the enterprising Frederick Belmont from Switzerland. It has gone from strength to strength over the years. 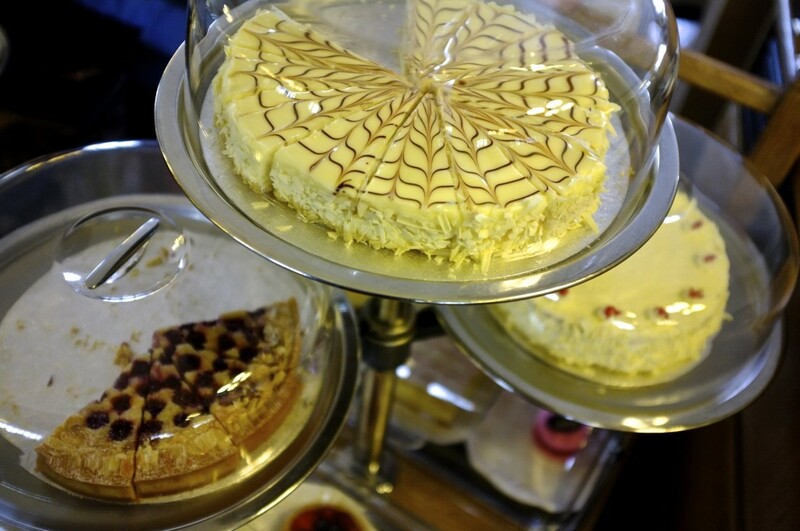 Only using the best of ingredients their range of gorgeous food is vast and varied. This year you can join in their celebration of the Yorkshire classics ‘Fat and Small Rascals’, which have clocked up a thirty-year anniversary. 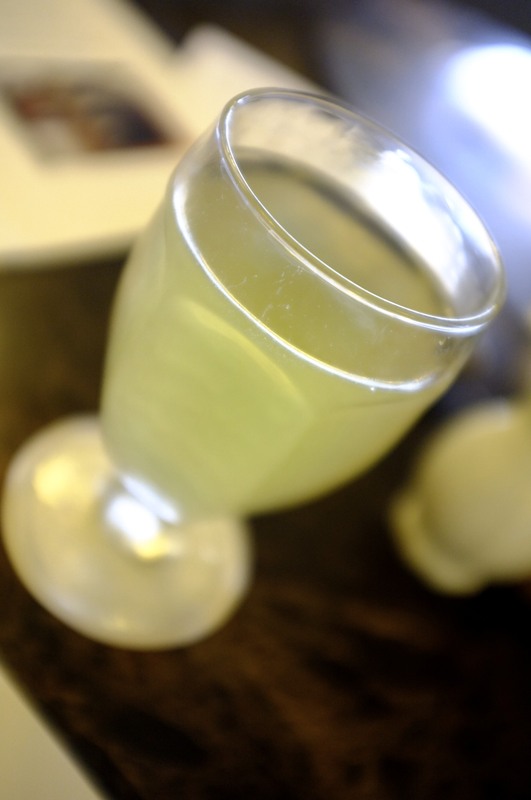 I’ll let you find out about these crafty little concoctions for yourself. 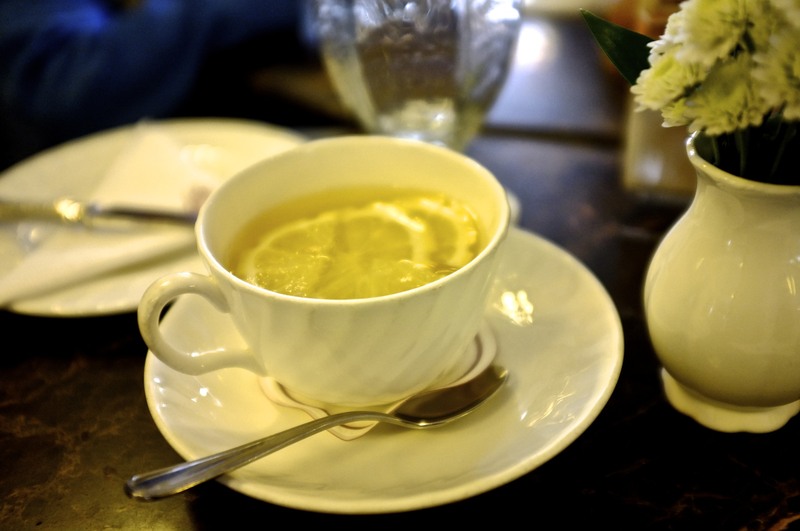 The tea is peerless as is the silverware, crockery and of course that renowned service, we were looked after by Nadine, who told us about the first time she was taken behind the scenes to see the baking process. The glint in her eye and her obvious enthusiasm said it all. Everybody really cares about what they do here. Our seven-year-old son took some time to choose from the cake trolley, which was as tall as him. 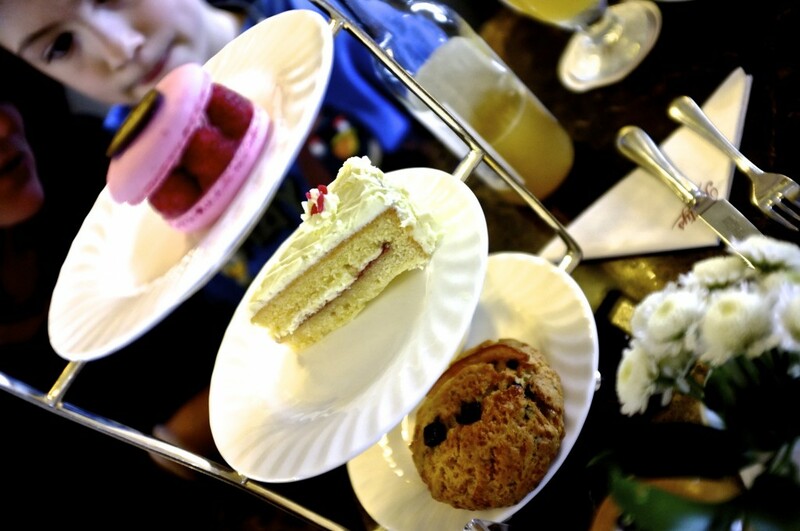 In the end he chose two delights as he couldn’t make up his mind, a white chocolate cake which proved to be as light as a feather and a splendid raspberry macaroon – his first ever. I wasn’t sure how this would go. That chewy intense experience that can make or break a seasoned cake goer didn’t faze him at all. He said “it’s my favourite by a mile, 11 out of ten”. High praise indeed from a rookie macarooner. 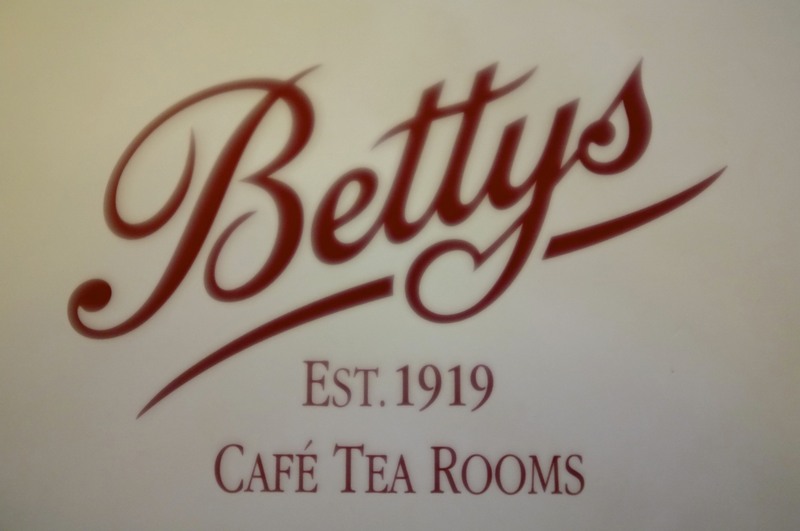 The no rush take your time approach to Bettys is simply so relaxing, I don’t think you spend any longer there than you would normally but you just feel relaxed enough to not be clock watching or more importantly for the staff to be clock watching you! 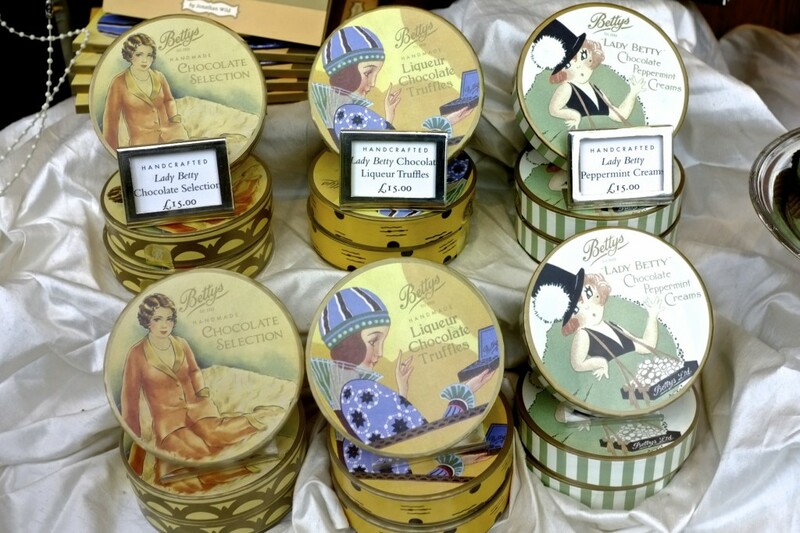 I actually can’t find anything wrong with Bettys you can buy most of what they sell in the adjoining shop on your way out. Maybe the only fault is that Southerner’s haven’t a branch anywhere down south? They are all located in Yorkshire, lucky Northerners!